Valley West Hospital offers exceptional care by experienced, compassionate nurses in our welcoming maternity suites. Our goal is to help you have a safe, rewarding birth experience that meets your personal preferences. The maternity suites at Valley West Hospital are the area’s first choice for childbirth. A warm and caring environment creates cherished memories for the whole family. We will go beyond your expectations to make the birth of your baby a safe, comfortable and joyful event. When you deliver your baby at Valley West Hospital maternity suites in Sandwich, your birthing experience will be one of comfort and privacy. You will spend the entire length of your stay in your own personal labor/delivery/recovery/postpartum (LDRP) birthing room where our highly trained obstetrical nurses tend to your every need. Our clinical team of OB/GYNs, midwives, and nurses can also address your special needs, from cesarean sections to postpartum counseling. And you will have peace of mind knowing that your newborn is safe and secure. During the Sacred Hour, friends and family may wait in the family waiting area. Following the baby’s birth, visitors are encouraged to allow three to four hours recovery time before visiting. You, the patient, can tell us when you would or would not like to have visitors. State regulations do not allow visitors under age 12 unless they are the brother or sister of the newborn. When children do visit, they must be accompanied by an adult. As a rule of thumb, individuals who have colds, sore throats or any contagious diseases should not visit patients. If you have questions or want more information about the Sacred Hour and our initiative to promote breastfeeding, please ask a Valley West Hospital maternity suites nurse. From the day you discover you’re pregnant, your emotions and thoughts may range from happiness to anxiety. Valley West Hospital's many resources can help you prepare for what is to come. At your first prenatal visit, your doctor and Valley West Hospital become partners in your continuing education. The importance of excellent prenatal care cannot be overstated. Valley West Hospital has all the resources and information you need to ensure you and your baby remain healthy throughout your pregnancy. When packing your bag to bring to the hospital, don't forget to include your filled out pre-registration form. Women and their families throughout northern Illinois have turned to Valley West Hospital in Sandwich for outstanding maternity care. Our level II labor and delivery services allow us to care for moms and babies who need extended hospitalization or have special needs. Valley West Hospital will also be your resource for the many months ahead, from prenatal education, through your birthing experience, to breastfeeding. The maternity suites at Valley West Hospital are specially designed and equipped to allow you to labor, deliver, recover and receive postpartum care (LDRP) in one spacious, comfortable room throughout your stay. The maternity suites include an operating room just for our birthing moms. One of nice features of the OR is the adjoining area where mom and baby can recover with dad present. Mom can have immediate skin-to-skin contact with her baby. After mom and baby are recovered, they will return together to mom’s private room to visit with family and friends. Every mother who gives birth at Valley West Hospital will receive a mom/baby care booklet upon discharge. Valley West Hospital also offers an expansive menu for hotel-style room service for moms to take advantage of during their stay. The Valley West Hospital maternity suites follow the guidelines of the Association of Women’s Health, Obstetric and Neonatal Nurses; American Academy of Pediatrics and the World Health Organization to improve the health of women and infants through education, support and the promotion of breastfeeding. Our HUGS baby tracker device with coded baby identification wristband assures the safety and security of your newborn. In addition to your baby rooming in with you, he or she will have a computerized tag for identification and location purposes. The maternity suites are locked for the safety of the infants and their families. Security staff is available 24/7. Beautiful newborn photos done by BellaBaby* photographers at Valley West Hospital will be keepsakes you and your family will cherish forever. These are not your typical nursery photos. The photographer comes to your hospital room and sets up several poses. With your permission, your baby pictures are then posted on the photographer’s online baby gallery so family and friends can view. Our photographers will photograph your baby and post photos to a custom online slide show for you to view just minutes after your session. Online viewing and ordering is available for two weeks for anyone with whom you choose to share your password. Bella Baby loves to photograph parents, and we encourage your participation. Breastfeeding classes before your baby is born and lactation specialists and consultants during your hospital stay will provide breastfeeding education and support for you and your baby. Once you leave the hospital and are home with your baby, you may need more breastfeeding support. That is when you can turn to the Kishwaukee Hospital Breastfeeding Center, located on the first floor of Kishwaukee Hospital in DeKalb, for support over the phone or to schedule a free lactation consultation. Our goal is to help you address concerns and overcome obstacles through your baby’s first year. The Breastfeeding Center in DeKalb serves all new moms in Northern Illinois, no matter where you delivered. 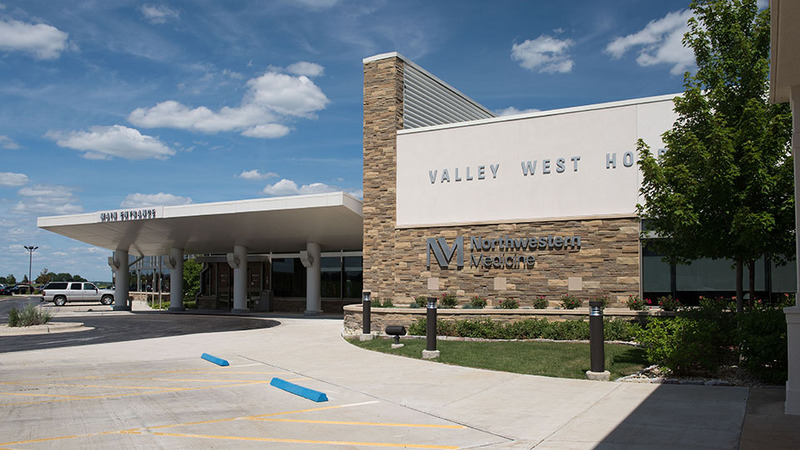 Valley West Hospital maternity suites are in the process of achieving the designation of "Baby–Friendly" and are committed to excellence by providing evidence-based maternity care with the goal of achieving optimal infant feeding outcomes and mother/baby bonding. To achieve Baby–Friendly designation, the hospitals must adhere to the “Ten Steps to Successful Breastfeeding” that consist of evidence-based practices that have been shown to increase breastfeeding initiation and duration. The title of “Baby–Friendly” may only be used when a facility has been assessed by Baby–Friendly USA, approved by the External Review Board, and the CEO has received the letter from Baby–Friendly USA indicating the facility has been designated, a process that can take several years to complete. Baby-Friendly Hospital Initiative (BFHI) is a global program initiated in 1991 by the World Health Organization (WHO) and UNICEF to recognize hospitals offering quality bonding and breastfeeding support to mothers and babies.